To define your vision, we schedule your visit to our showroom featuring a guided walk-through and demonstration of our kitchen displays. We’ll discuss your likes, wants, and needs to help make the most of your budget. Then we review our options and commitments, and schedule a visit to the project location. To help conceptualize a design, you’ll fill out a KBC Questionnaire, we’ll walk through and measure your space, and then we discuss possible design options. 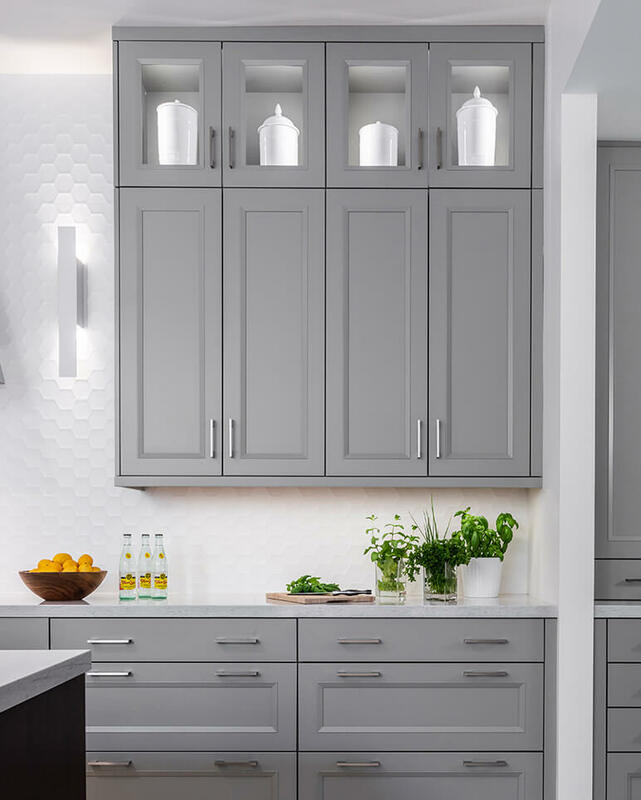 The process will include selection of cabinet styles and finishes, knobs, pulls, interior hardware and storage convenience options, appliances, backsplashes, and countertops. 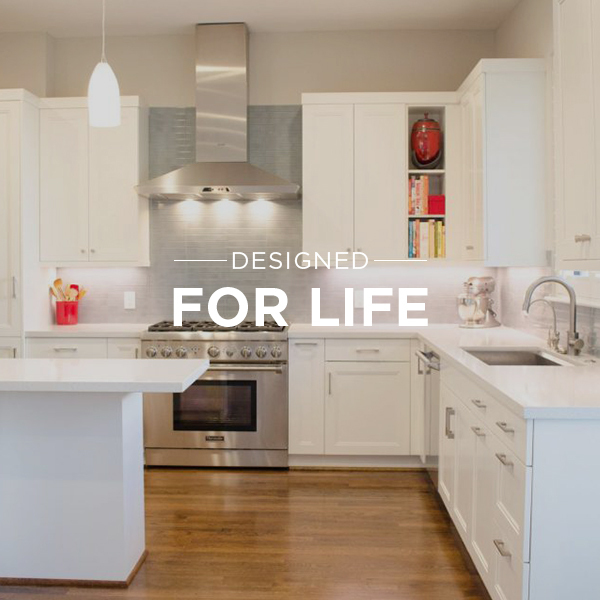 When the design is finalized and pricing established, your custom KBC kitchen can be ordered. We try to make the process as easy and stress-free as possible for you. 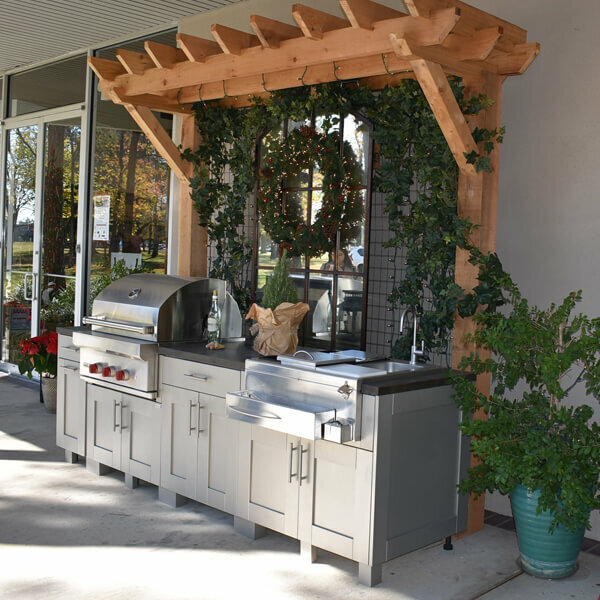 We recommend contractors or work with one of your preference, and we provide complete shop drawings and specifications for you, the contractor, and our cabinet installers. 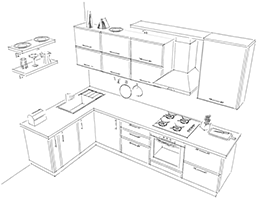 We’ll order the cabinets, secure delivery dates, and arrange for cabinet installation. We can also take care of procuring and installing your countertops and new appliances. 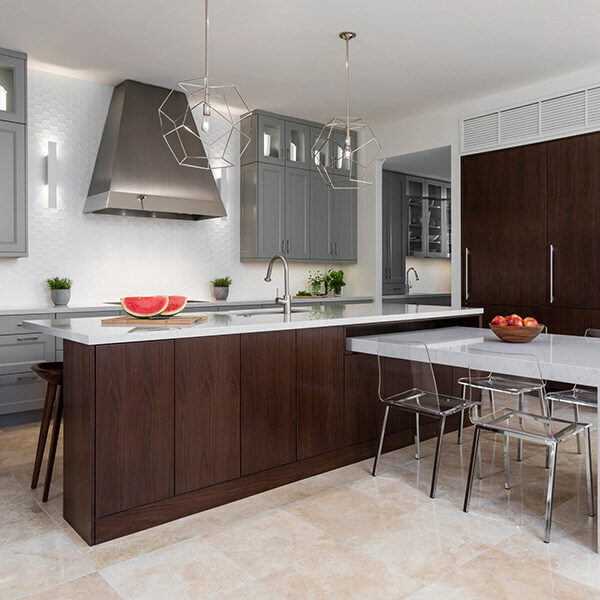 Your contractor will plan the deconstruction and make-ready work based on projected delivery of the cabinetry, and we work with them when necessary throughout the process to assure the best possible result for your new kitchen or bathroom. We design the most important rooms in your home: kitchens and bathrooms. The kitchen has come a long way. Once a functional space hidden from guests, it’s now the heart of the home—a place for fun gatherings with family and friends. When a little privacy and relaxation at home are in order, nothing compares to the comfort of a custom-designed bathroom. For over 30 years, Kitchen & Bath Concepts has delighted homeowners and their guests with masterfully designed and installed kitchens and bathrooms featuring premium American cabinets manufactured by Wood-Mode and Brookhaven and European cabinets made in Germany by SieMatic. We love our work, and it shows. Building your dream kitchen or bathroom is all about inspiration, self-expression, and aspiration. Customization is a must. As our exclusive clientele can attest, it just might be more affordable than you think. We’re standing by to help make your dream a reality. 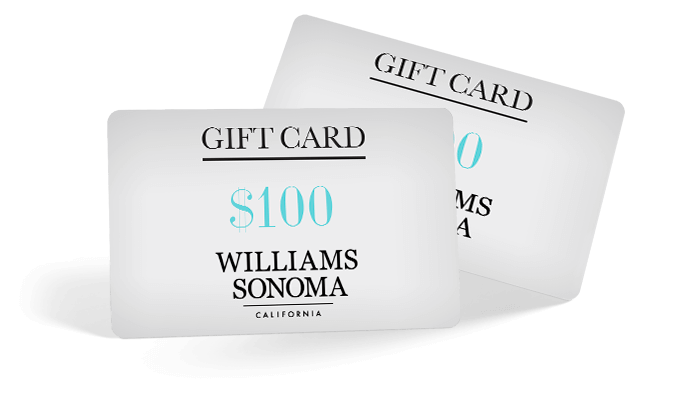 Enter your information below for a chance to win a $100 gift card to Williams-Sonoma!